Emergencies can happen any time. Whether it’s a really bad toothache to a cracked, broken or knocked out tooth when a dental disaster strikes you need to contact – and preferably see – your dentist as soon as possible. That’s why at First Dental Studio we keep appointment time slots available each day for existing and new patients who need urgent dental attention. We’re also sharing our tips for short term management of common dental emergencies below. From obvious trauma resulting from an incident or accident to a dull ache developing in your mouth, a dental emergency is anything that doesn’t feel right with your teeth. While it may be tempting to take pain relief and push through, particularly for seemingly minor pain, time is often the essence when it comes to matters of the mouth. The longer you put off examination and any relevant treatment, the worse the condition is likely to get. Please consider the extent of your injuries and any other symptoms other than tooth or mouth pain and call an ambulance or present to emergency/a general practitioner doctor if necessary. It’s important to only handle the tooth by the crown not the root and keep any tissue as intact as possible. The tooth should be rinsed in the person’s saliva or milk to remove any blood, dirt or other foreign matter. If the person can, get them to gently hold the tooth in place in the socket. If this is not possible, keep the tooth moist (use milk or the persons’ saliva not water or any other liquid) and either pop it in their mouth against the cheek or wrap it in some cling film. Contact your dentist as soon as possible. Rinse the mouth with some warm water to keep the area clean. The person is likely to feel some pain or discomfort. Over the counter pain medication can be used as directed, and ice packs can be helpful to reduce any swelling. It is still important to make a dental appointment as soon as possible, even if the pain subsides or you think the damage is only fairly minor. This is often a result of a cavity developing under the filling or crown – which is part of why we tell you that your regular check ups are so important! If you have lost your filling or crown it will need to be replaced. You will likely experience quite bad pain, particularly when eating hot or cold foods as the middle layer of your tooth is exposed. In fact, sometimes this is how you know there is a problem and you should contact your dentist straight away. How Can I Stop Dental Emergencies From Happening? While some accidents, injuries and conditions can’t be prevented, if you play sports or engage in high risk activities make sure you wear appropriate protective gear including a custom fitted mouth guard from your dentist. It’s also important to stay up to date with your scheduled check ups with your dentist. 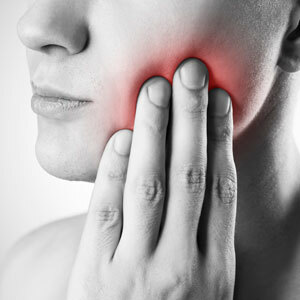 Dental emergencies and tooth pain commonly start as minor issues. Often your dentist will be able to identify – and treat – conditions long before they cause you any pain or discomfort.